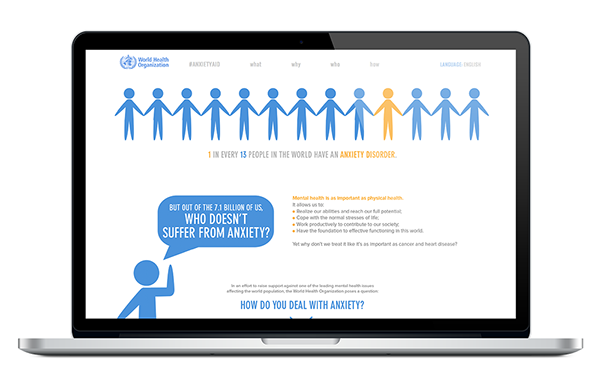 Campaign Website: www.anxietyaid.org For my Capstone (Final Thesis) project, I chose to create something that could potentially have a voice in the real world. 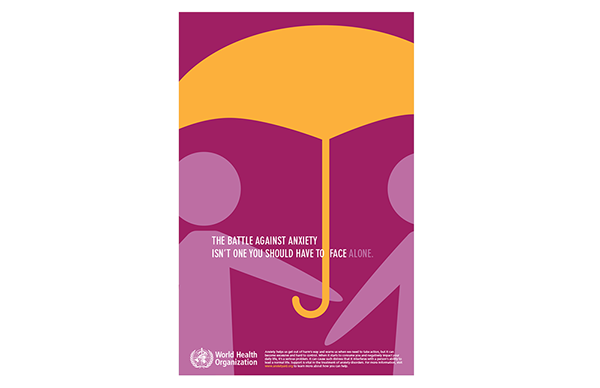 Anxiety Aid is a global campaign to raise awareness on anxiety disorders. This campaign is done as a fictitious campaign by the World Health Organization. 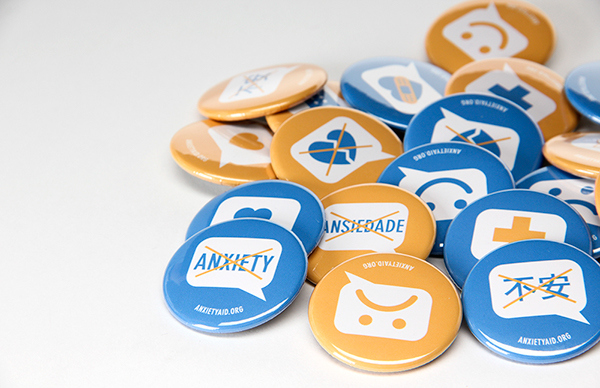 The Anxiety Aid campaign consists of two poster series in English, Portuguese and Japanese; a website, and a set of buttons. I picked these three languages not only because I speak them, but because they are different enough in terms of both the languages themselves and their respective nations' cultural backgrounds, thus showcasing how the campaign can be effectively executed on a global scale. I focused on creating a universal way to communicate, creating figures and situations that can be universally recognized and interpreted and aren't culturally specific. 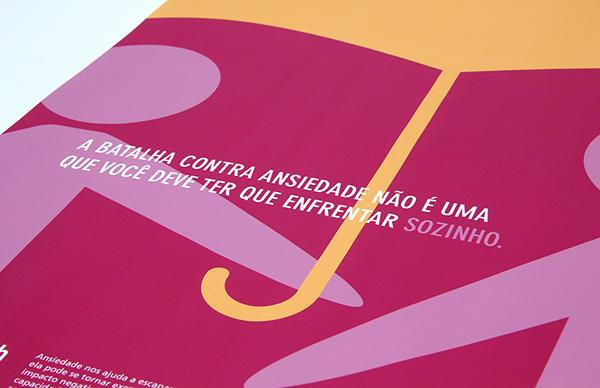 This project combines two things I enjoy, but didn't have much of a chance to showcase in other pieces of my portfolio: psychology and languages. I've always loved reading psychology books and articles, mainly surrounding the topic of mental illnesses. 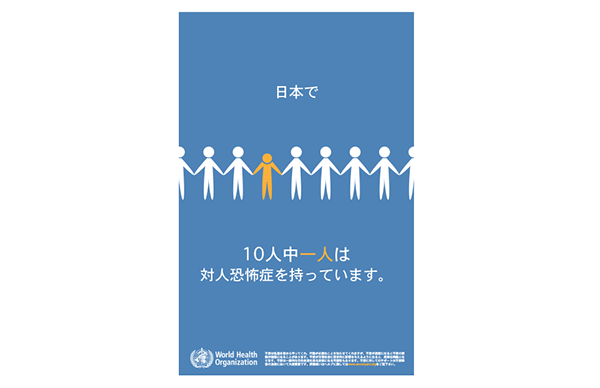 The stigma faced by people with mental health problems is global, varying between nations, but clearly present in our world. 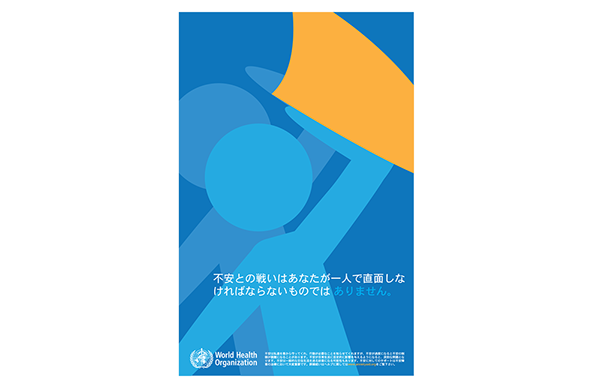 The World Health Organization defines health as both mental and physical health, with both being equally important to carry on a healthy and stable life and allowing people to "work productively, and contribute to their communities." 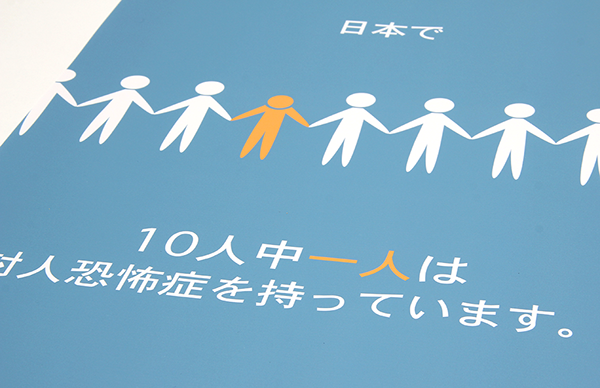 However, mental health care is often ignored or not placed in the same level of importance as physical health. In many societies mental health issues are taboos that are never exposed, and therefore never resolved. 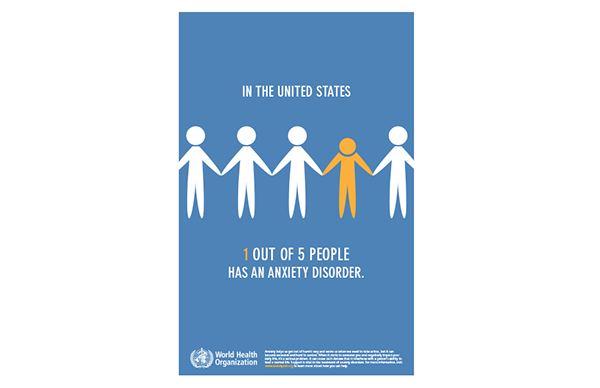 Out of the various mental health issues we face, I chose to focus on anxiety disorders. Everyone feels anxiety. It is an unpleasant emotional state that we all experience sometimes. It can include fear, sadness, and anger. Often times people with anxiety are overly worried over something. It helps us get out of harm’s way and warns us when we need to take action. 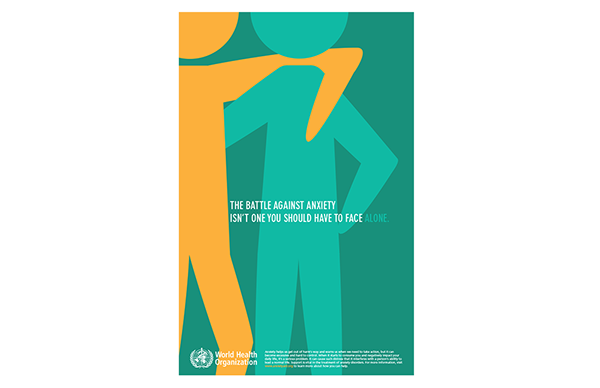 However, anxiety can become excessive, making it hard to control. 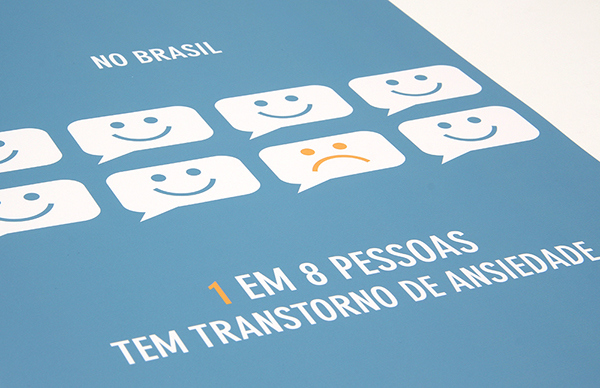 When it starts to consume you and negatively impact your daily life, it’s a serious problem. 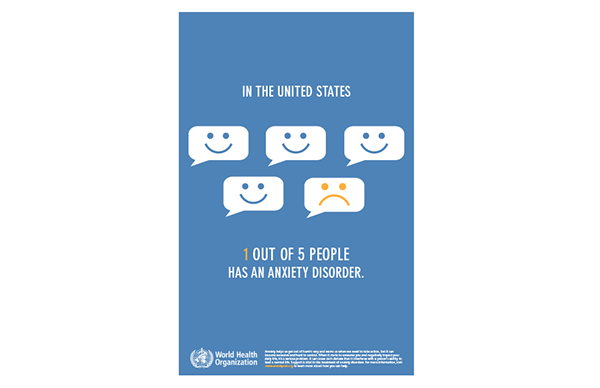 Anxiety disorders affect roughly 8% of the world population. 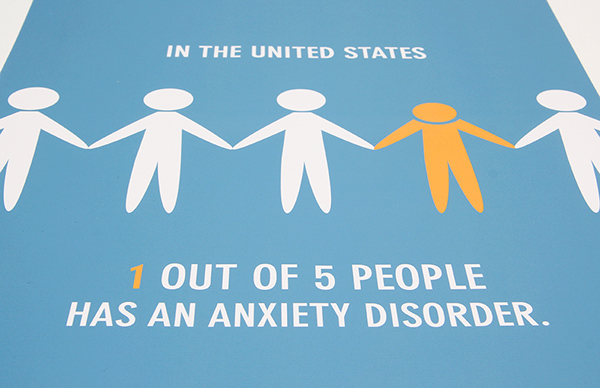 They are the most common mental illnesses in the United States, affecting 18% of the population. 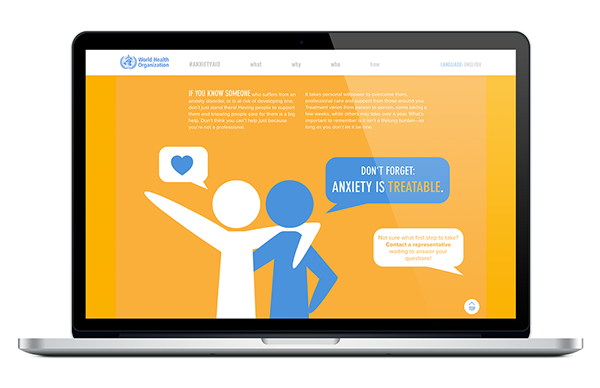 With my audience being the general public of the world, I wanted to create a campaign that raises awareness amongst all people, and inspires—directly or indirectly—those with anxiety disorders to seek help and free themselves from their feeling of disgrace and support the campaign. I want my audience to know that mental health issues can affect anyone, may it be yourself or a loved one, and there is nothing shameful or degrading about it—it is part of who we are and it is not to be silenced but heard and given the attention it deserves. 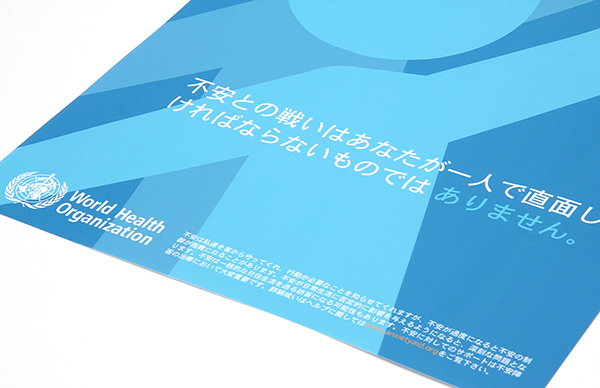 This entire campaign was done as a fictitious campaign by the World Health Organization (WHO). 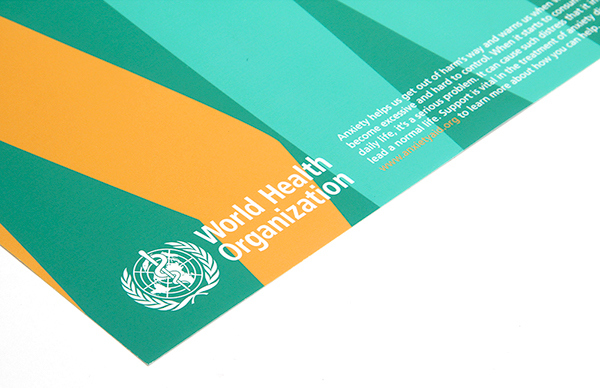 I focused mainly on the social and educational awareness of the WHO’s mental health action plan 2013-2020, and I kept in mind their overall view because I put myself in the position of a designer working directly with them. 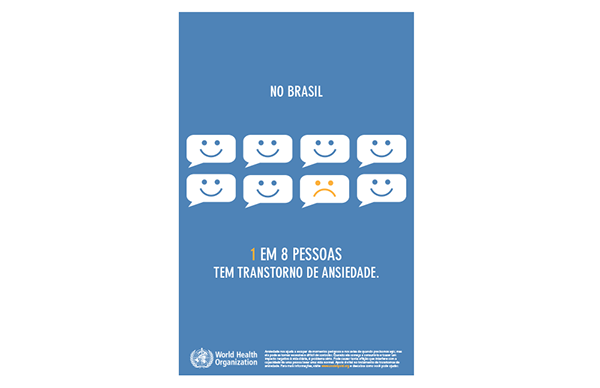 During January of 2014 I met with a mental health representative of the WHO in Brazil, who developed an interest in my project and is eager to see its outcome and was of great help to me. I also have the support of my father who works for the United Nations (UN) in Ecuador and his coworkers in various countries.